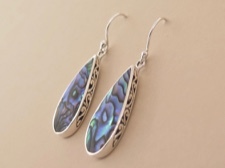 Simple design that lets the splendid abalone do all the talking! 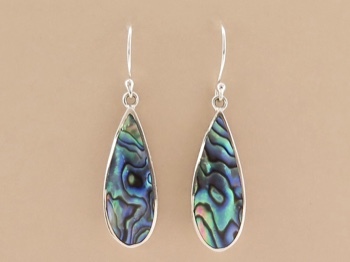 People love this lovely shell because no two pieces are alike and they have such ever-changing color energy. 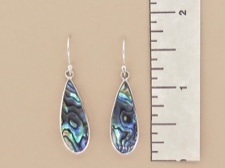 Set in sterling silver with a beautifully crafted ornate bezel, and sterling earwires. Please see below for a size reference.